● The original design of Y letters can emphasize a beautiful feminine line! 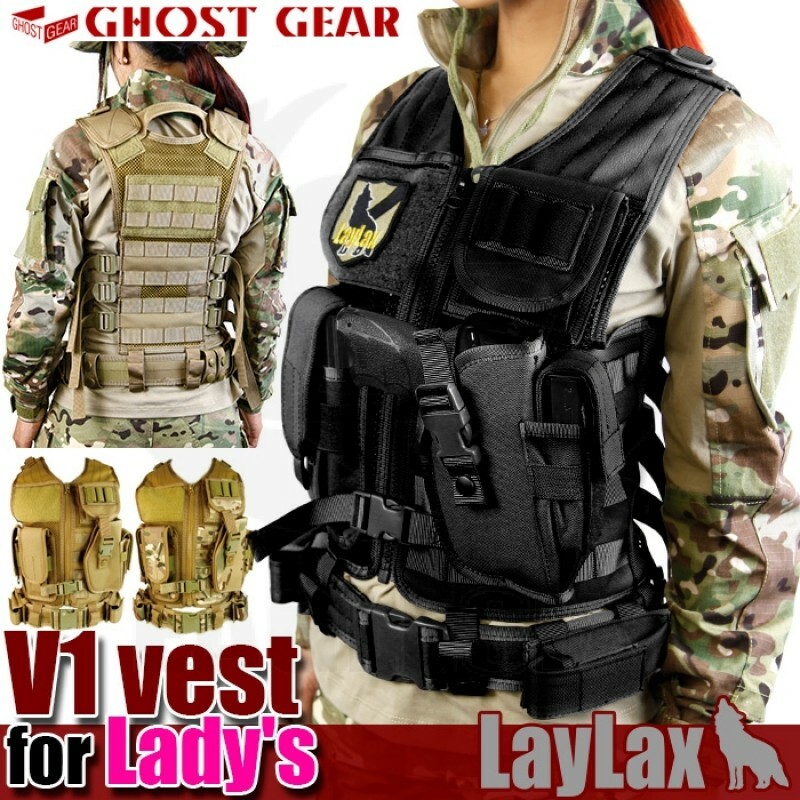 Airsoft is a growing and inclusive sport, its a simple fact the female figure requires different clothing to men, and its nice to see a company like laylax catering to female players of the sport. Redesigned to match the female body shape with a popular V1 vest with a persistent ease of use Did. Especially it is popular as back line designed in Y shape is clean line! It is the perfect best that covers most of the essential role in survival game, using lightweight and mesh material to prevent flocking abundantly. Holster for hand guns as standard equipment! Various magazine pouches and velcro bases are also standard equipment, and it is a full-fledged vest that you want to practice practical female gamers. Link to product on manufacturers website for more information.